Wooden or Plastic? They both have there own advantages. Plastic pallets being more durable are ideal for export as there are no red tape issues, which means no problems with import regulations with the destination country. They are also damp, mould, water & infestation resistant and can be recycled or resold. 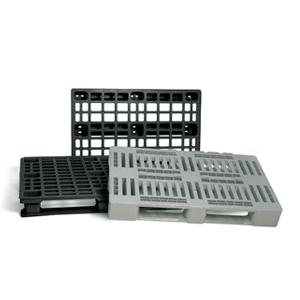 All the new plastic pallets and plastic containers on this website are made from good quality HD-PE material.